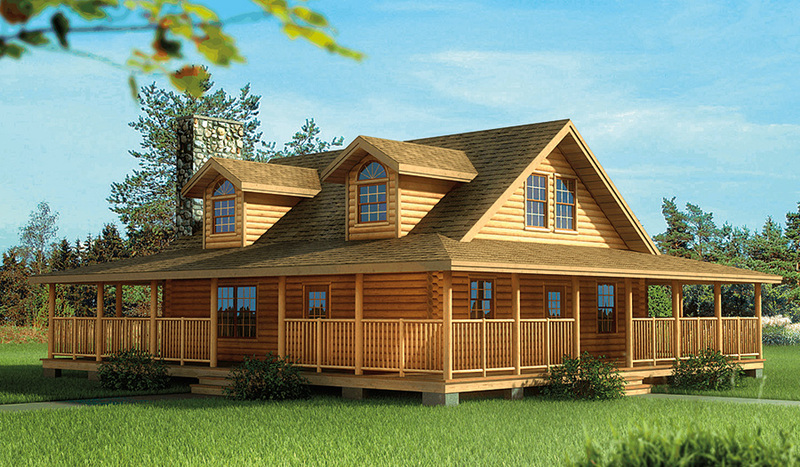 Welcome to the classic, beautiful Adirondack-style Elkmont with a complete wrap-around porch – perfect for enjoying nature’s paradise regardless of the season. The impressive great room continues the rugged natural look inside with its large stone fireplace and cathedral ceiling with exposed timbers. The master bedroom is located upstairs for added privacy and includes a walk-in closet and spacious bath. The open loft overlooks the great room downstairs. 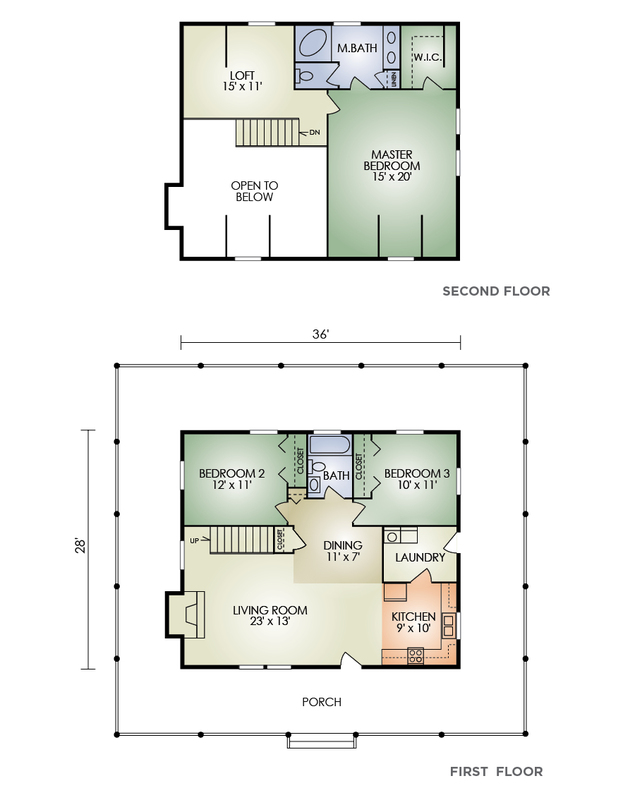 The main floor features the popular open-concept great room with kitchen and centrally located dining area. A separate laundry room is conveniently located off the kitchen. This home is clearly “a cut above” in terms of functionality and style! Plus,its relatively smaller size makes it more affordable.